Economist Ben Bernanke replaced Alan Greenspan as chairman of the Federal Reserve System in 2006. As chairman of the federal reserve, Bernanke helped the United States weather the economic meltdown of 2008. In fact he did such a great job, he was appointed to a second term as chair of the Federal Reserve in 2010, completing his service in 2014. Ben Bernanke has a personal net worth of over 3 million dollars. You may have heard it on the radio, or have read annuities are terrible financial vehicles because annuity contracts have withdrawl surrender charges. It is alledged by financial planners and financial advisors the surrender charges do not allow an owner to have full liquidy to all of your investment premium when you need it. This is a misconception. A Retirement Bucket that cannot be Depleted? Think your retirement as a one lump sum of money in a bucket. This bucket of money can be spent, can be lost, or even be delpeted of money. Who knows what the future holds? You would certainly agree and know your retirement bucket is very valuable. Do you agree? Did you know a structured settlement is an annuity setup by an insurance company? Did you know a structured settlement is an annuity setup by an insurance company? That is right. A structured settlement is an annuity. For example, a structured settlement is typically set up by third-party insurance company for a litigant who may be involved a personal injury lawsuit. Is Speculation to be Avoided by Prudent investors? At one time it was common to draw a rather sharp distinction between “investment” on the one hand and “speculation” on the other. For example, high-grade bonds were considered “investments” while common stocks were viewed as “speculative”. By Appointment Only. Contact us to verify if your financial situation is suitable for our product. Disclaimer NONE OF INSURED PORTFOLIOS, ITS OWNERS , OFFICERS, DIRECTORS, EMPLOYEES, SUBSIDIARIES, AFFILIATES, LICENSORS, SERVICE PROVIDERS, CONTENT PROVIDERS AND AGENTS (ALL COLLECTIVELY HEREINAFTER REFERRED TO AS INSURED PORTFOLIOS) ARE FINANCIAL ADVISERS AND NOTHING CONTAINED HEREIN IS INTENDED TO BE OR TO BE CONSTRUED AS FINANCIAL ADVICE. 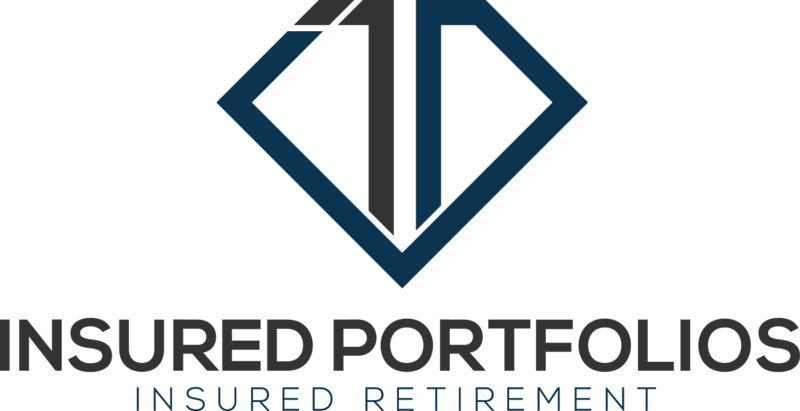 INSURED PORTFOLIOS IS NOT AN INVESTMENT ADVISORY SERVICE, IS NOT AN INVESTMENT ADVISER, AND DOES NOT PROVIDE PERSONALIZED FINANCIAL ADVICE OR ACT AS A FINANCIAL ADVISOR. INSUREDPORTFOLIOS.COM EXISTS FOR EDUCATIONAL PURPOSES ONLY, AND THE MATERIALS AND INFORMATION CONTAINED HEREIN ARE FOR GENERAL INFORMATIONAL PURPOSES ONLY. WE ARE A MARKETING FIRM. NONE OF THE INFORMATION PROVIDED IN THE WEBSITE IS INTENDED AS INVESTMENT, TAX, ACCOUNTING OR LEGAL ADVICE, AS AN OFFER OR SOLICITATION OF AN OFFER TO BUY OR SELL, OR AS AN ENDORSEMENT, RECOMMENDATION OR SPONSORSHIP OF ANY COMPANY, SECURITY, OR FUND. THE INFORMATION ON THE WEBSITE SHOULD NOT BE RELIED UPON FOR PURPOSES OF TRANSACTING SECURITIES OR OTHER INVESTMENTS. ANNUITIES ARE NOT DEPOSITS OF OR GUARANTEED BY ANY BANK AND ARE NOT INSURED BY FDIC OR ANY OTHER AGENCY OF THE US. ALL GUARANTEES ARE SUBJECT TO THE FINANCIAL STRENGTH OF THE ISSUING INSURANCE COMPANY. ANNUITIES ARE PRODUCTS OF THE INSURANCE INDUSTRY AND MAY ONLY BE OFFERED BY A LICENSED INSURANCE AGENT.